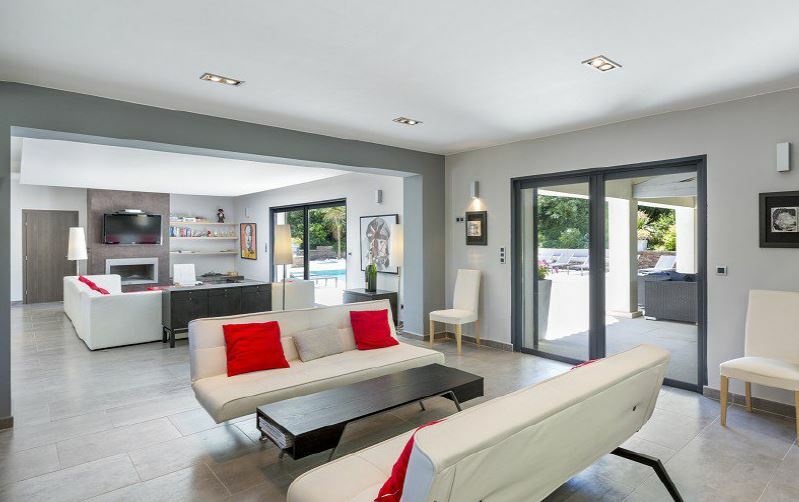 A beautiful, modern villa situated in a private and secured domain, just 10 minutes walk to the centre of St Tropez. 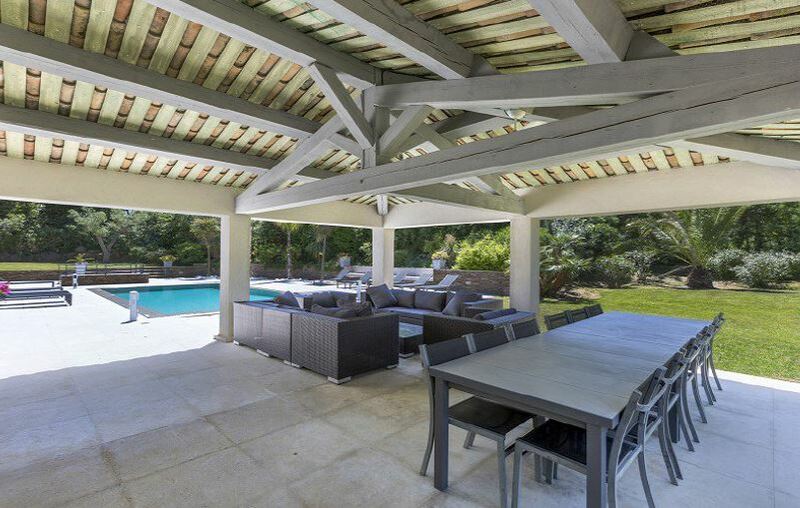 This luxury property would perfectly suit a larger party or several families looking to enjoy a retreat in the French Riviera. 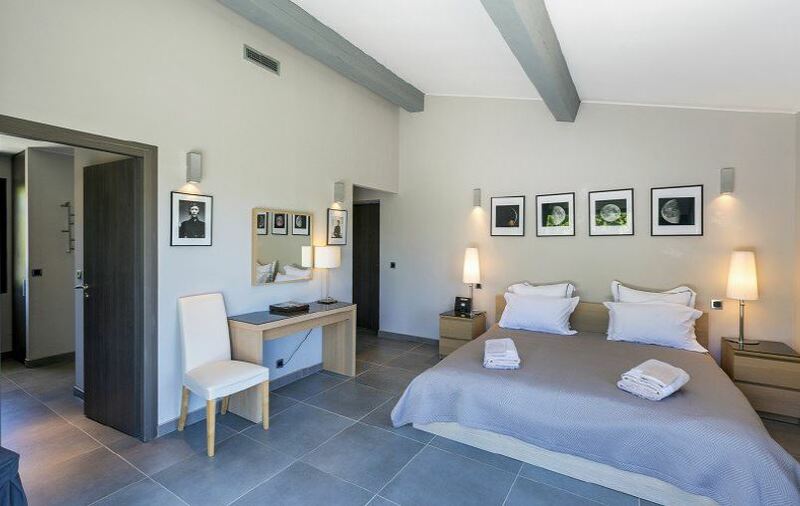 The villa is split into two levels with all rooms decorated with tasteful and contemporary furnishings. 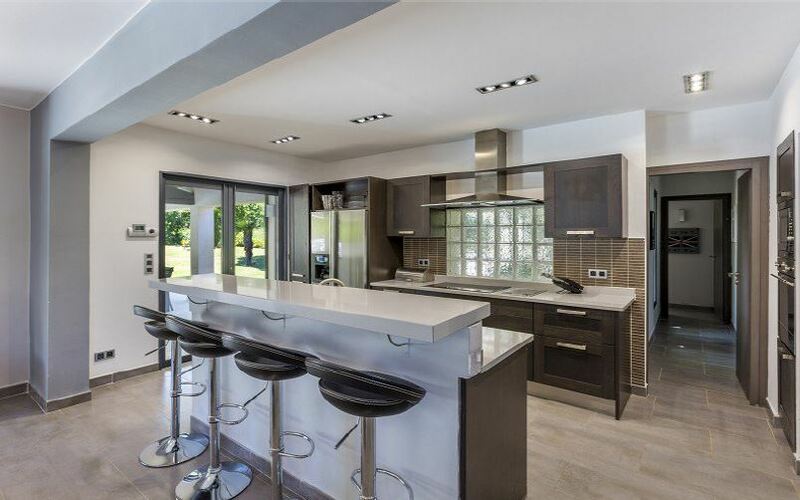 The ground level consists of a large living area with a fireplace and a dining room as well as a fully equipped kitchen that has direct access onto a covered terrace. Three of the seven bedrooms are also located on this floor each with their own bathroom. 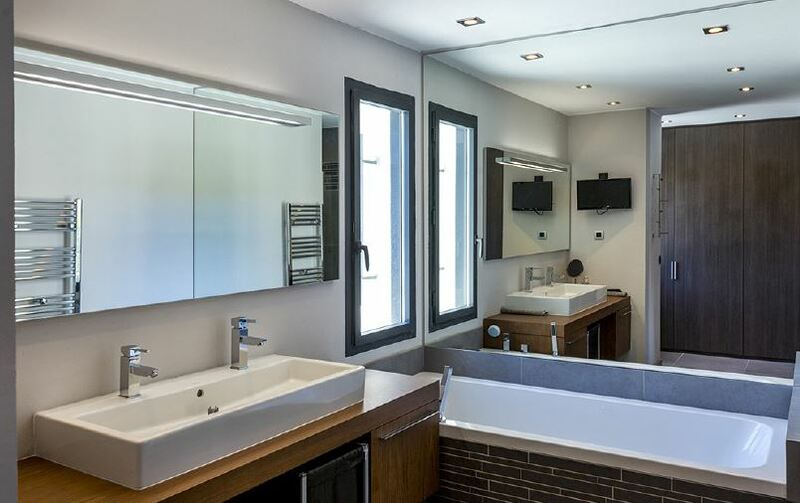 The upper level includes the other four gorgeous en-suite bedrooms complete with their own dressing rooms and balconies to fully absorb the sea views. This property boasts a large swimming pool surrounded by sun chairs and views of the vineyards. In addition to this, the gardens that surround the property are also wonderfully landscaped.